"Should you buy this game? Get this: not only does randomly spazzing the mouse all over the place NOT work, it's also free! That's right, even the developer thinks it's not worth money." 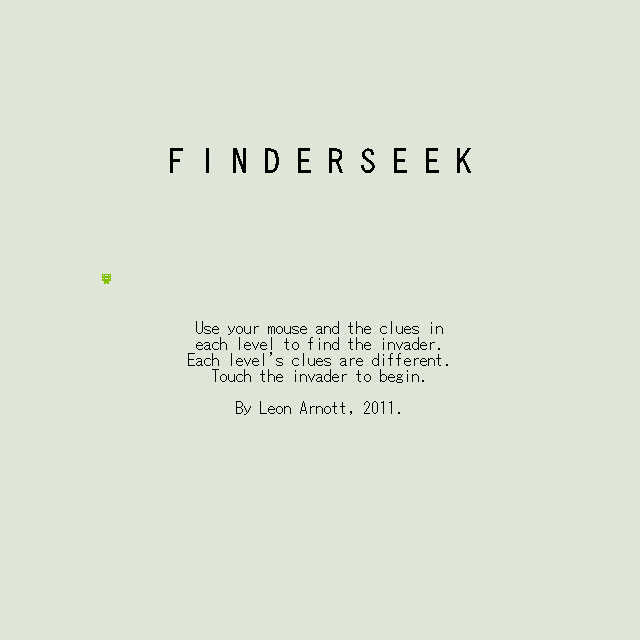 This is Finderseek. See if you can find the invisible invader! That's all I can say. I've uploaded a fix for that crash. Also feel free to report crashes in the form of @ replies to my twitter. 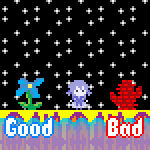 This version has a slightly harder level 1, but is otherwise identical.